Samsung is firing on all cylinders at the moment. Weeks after it offered a fleeting glimpse at its next-generation Samsung Galaxy X with a folding 7.3-inch OLED screen, the company is now gearing up to unveil another early peek at a key piece of its 2019 product road map. This time, the world's largest smartphone manufacturer will showcase its first 5G-compatible handset. The proof-of-concept will be revealed at the annual Qualcomm Snapdragon Summit in Maui, the company has confirmed. The event runs from December 4 - 6, so we can expect to get a look at the cutting-edge technology any minute now. Details around the specs of the unnamed 5G-touting handset are likely to be pretty sparse – like they were during the brief reveal of the foldable Galaxy X last month. However, Samsung has already confirmed that it will partner with mobile carrier Verizon in the United States in order to bring the 5G-compatible device to market sometime in the first half of next year. Qualcomm is another key partner for the as-yet unannounced 5G Galaxy phone. The firm produces the Snapdragon X50 5G NR modem and antenna modules needed for the superfast mobile speeds via the Snapdragon Mobile Platform. Samsung is widely-tipped to introduce 5G to the top-of-the-line variant of its flagship Galaxy S smartphone range, which is scheduled to launch at Mobile World Congress in February 2019. 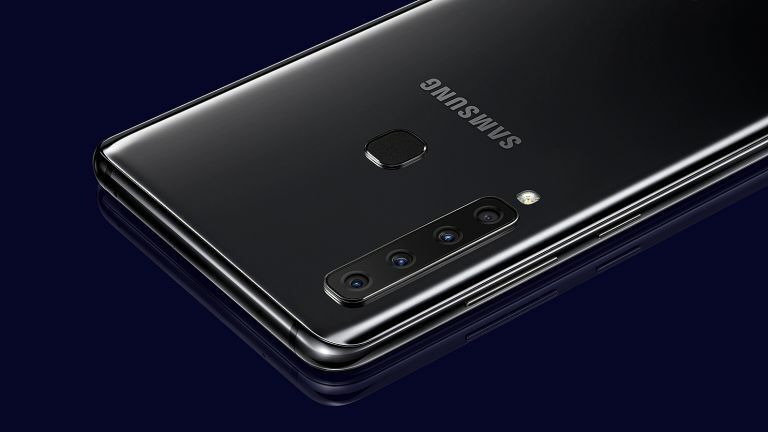 However, since this is a proof-of-concept, we don't expect to see the Galaxy S10 or Galaxy S10 Plus in the flesh during the 5G demo this week. And if the next-generation Galaxy S handset does make an appearance on-stage, it's probably going to be heavily disguised, like the Galaxy X during its reveal last month. Rival handset manufacturers OnePlus, Motorola, Sony Mobile and Huawei have already teased plans to launch 5G-compatible handsets early next year. Whether Samsung will manage to beat them to market with a worldwide launch of its smartphone remains to be seen. The race to market looks set to be tightly-fought given that OnePlus has already tweeted from a prototype 5G handset, announcing its progress in the race. Meanwhile, Samsung’s chief competitor Apple is purportedly in no rush to incorporate 5G network speeds to its best-selling iPhone line-up. According to analyst estimates, the earliest we can expect to see an Apple handset with support for the superfast network speed is 2020. As with 3G and 4G, the two previous generations of mobile network technology, Apple is tipped to will wait as long as a year after the initial deployment before its main product becomes compatible with the technology. In the past, Apple's caution around new network technology proved a good bet, since the first iterations of rival smartphones experienced problems like patchy coverage on the new networks. However, 5G advocates claims the switch will represent a much bigger speed upgrade this time around, making the decision to wait potentially riskier for the iPhone.